"Get Ready To Match The Stars!" 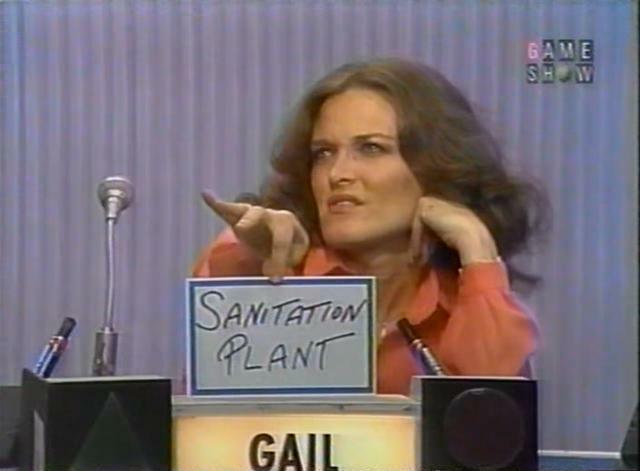 Gail Farrell!" 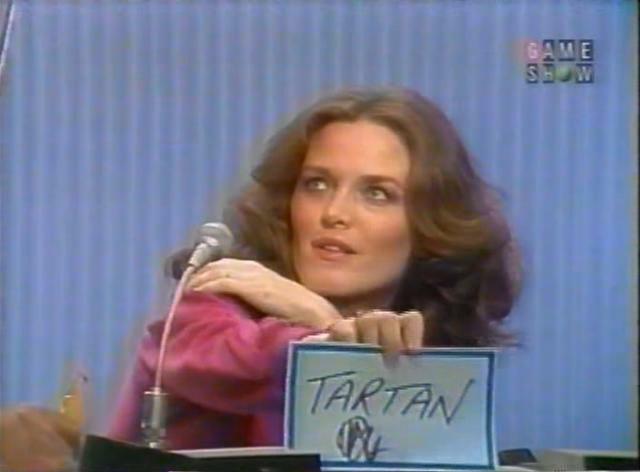 "As we play the star-studded, big money Match Game!" 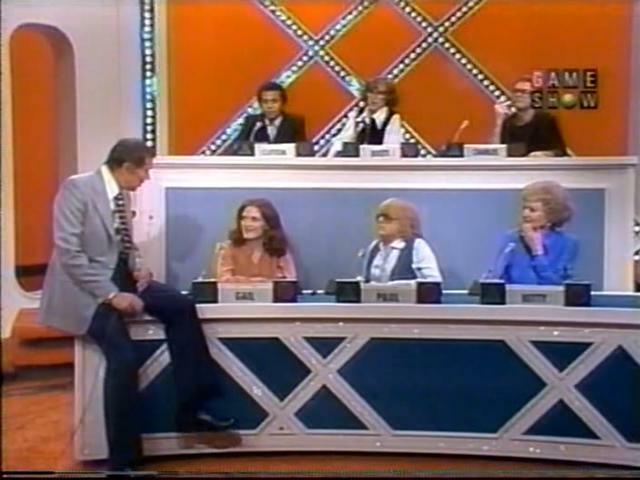 INTRODUCTION: For those who are unfamiliar with Match Game, it is an extremely popular game show that ruled daytime television, mostly during the seventies. 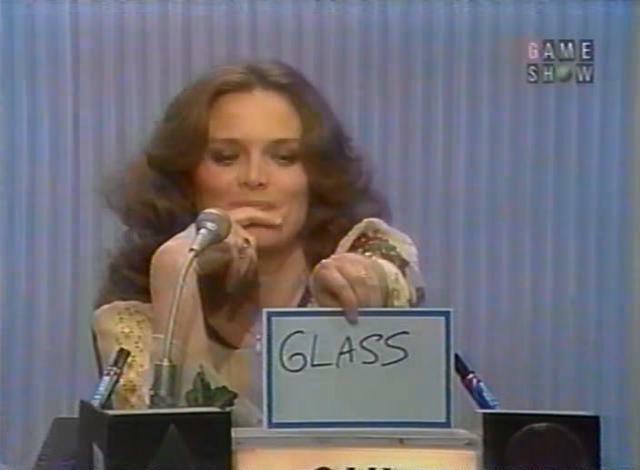 Hosted by legendary emcee Gene Rayburn, the show featured two contestants, and a panel of six celebrities trying to match answers to totally hilarious questions. 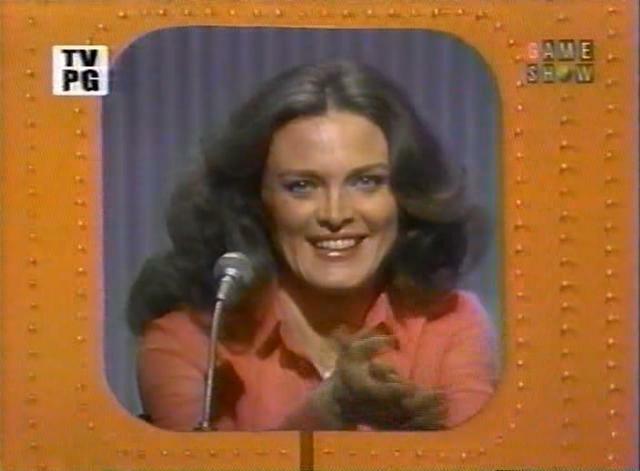 The celebrities include regulars such as Brett Summers, Charles Nelson Reilly, Richard Dawson, Betty White, and several other famous Hollywood folks of stage, screen and television. 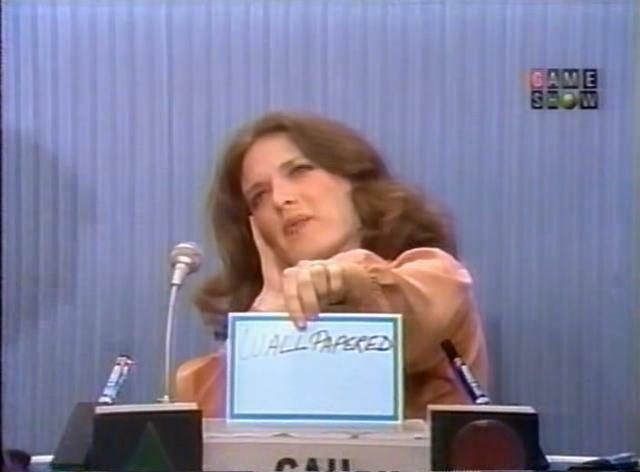 Our members of the Welk Musical Family are no strangers making the rounds of television appearances, and on two seperate stints...first in 1979 and later in 1981, Gail Farrell appeared on the celeb panel, ready to match answers and laughs before a legion of daytime audiences. Here are some actual questions from the show below! The outlaw said, "This town is full of interior decorators, when they ran me out of town....instead of tarring and feathering me, they _________ me." The princess said, "Things are really tough that my husband is a frog, last night I tried to get romantic and he started to ____________." 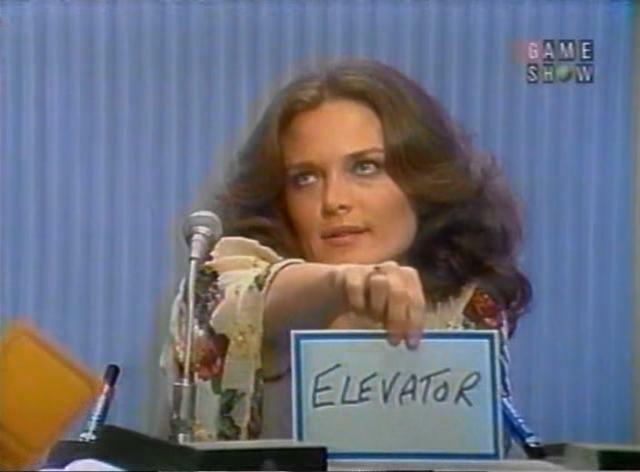 Bertha said, "My husband must have fallen asleep at the bar, I can tell he got________marks on his face." Dumb Donald the cook is really dumb, (HOW DUMB IS HE?) today he tried to make pressed duck by putting a duck under a __________. My husband is very depressed about his work, he's way in over his head. What really makes it depressing is that he works in a ___________. Rick said, "I'll never go back to that lousy bar again! I asked for a scotch so the bartender strained a beer through a _________." 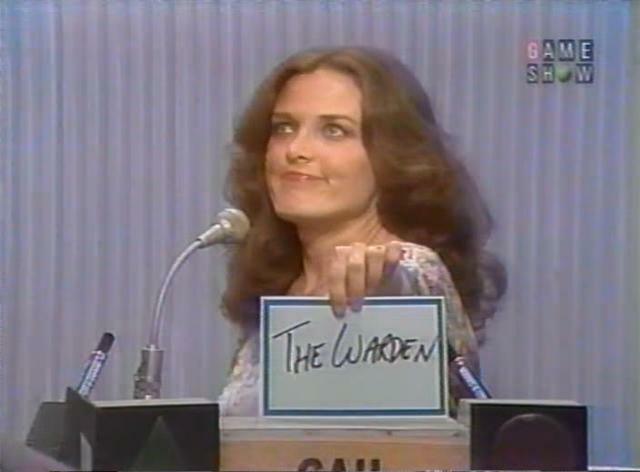 The police desk sergeant said, "That new prisoner is weird, (HOW WEIRD IS HE?) we gave him his one phone call, and he called ________." 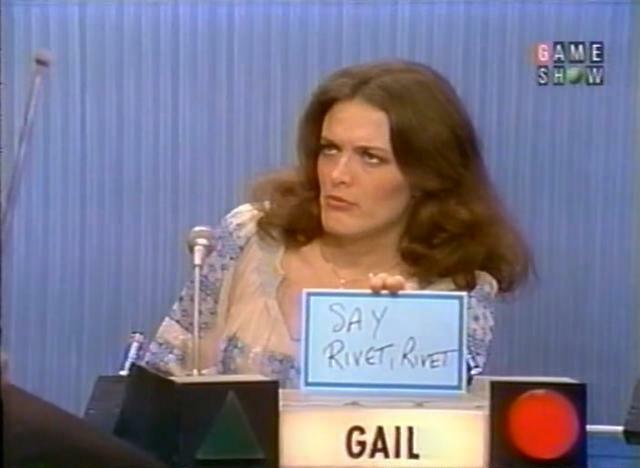 CLICK HERE TO VISIT GAIL'S MATCH GAME PHOTO ALBUM!